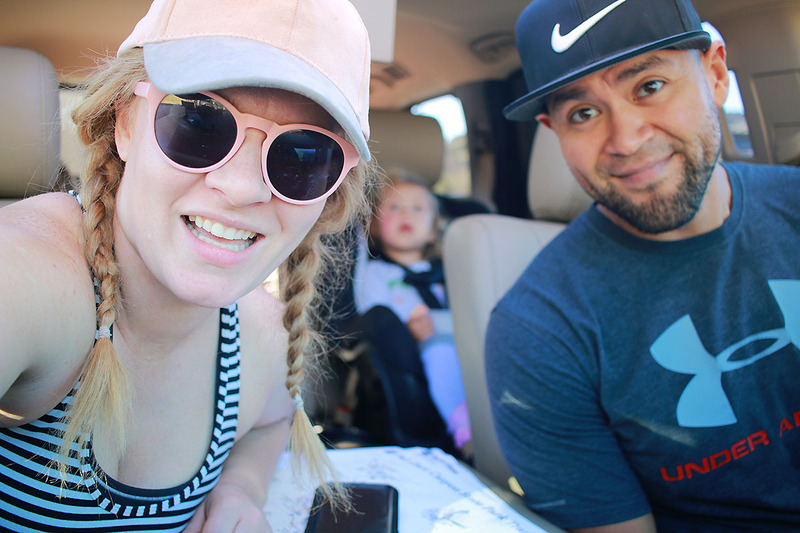 During the past year our family has taken our share of road trips & we have loved taking to the road but after hours upon hours on the road we’ve learned a bit on how to make these long trips a success. 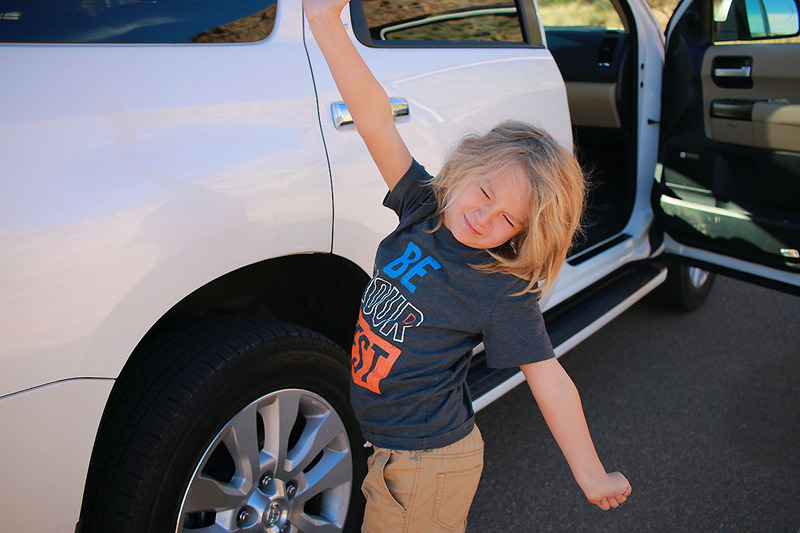 Recently we enjoyed taking the Toyota Sequoia on a road trip to Amarillo. 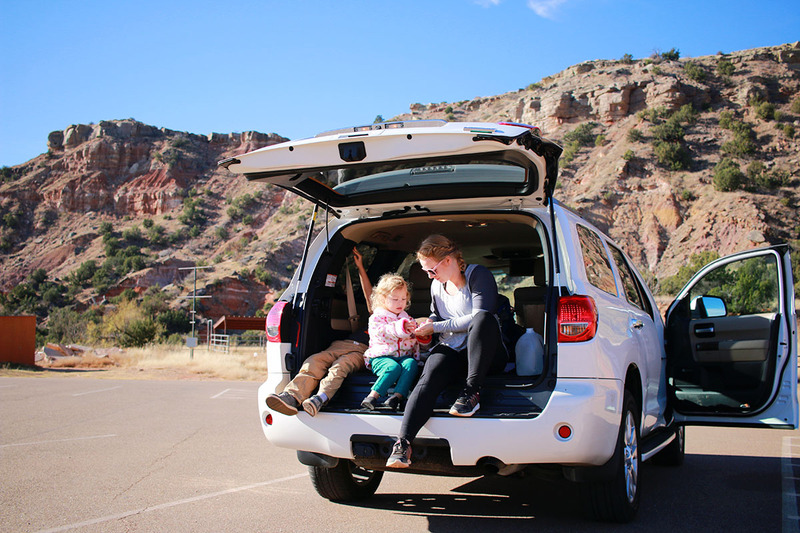 And while on the road we decided to share what helps us along on these trips, from 2 hours to 12 hour drive…these tips can apply to them all. We always log on an extra hour or two to our commute for bathroom breaks because we always take our time, stretch, grab a bottle of water and take a breather. When we plan in extra time it puts less pressure to be on time & take all the pit stops we need. 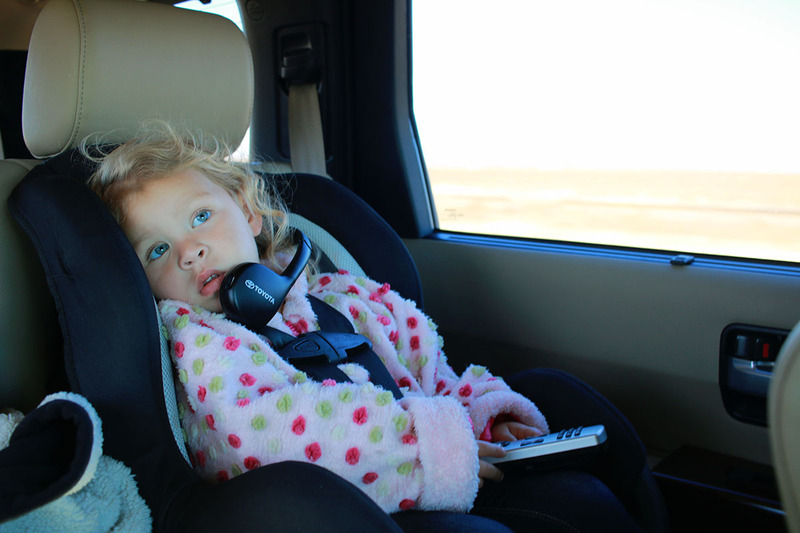 Ok so we had a portable DVD player for our long trip to Big Bend but OH MY GOODNESS, the Toyota Sequoia had a DVD player in it & the kids were in heaven. And why was I in heaven? Because the wireless headphones meant I didn’t have to hear Emily’s favorite movie for the millionth time this month. We put the movies off until all our other methods of entertainment are used up. For Micah, I have him pick books to bring & notebooks to draw in. Emily has also started to get notebooks to draw in & brings little toys or babies to play with. 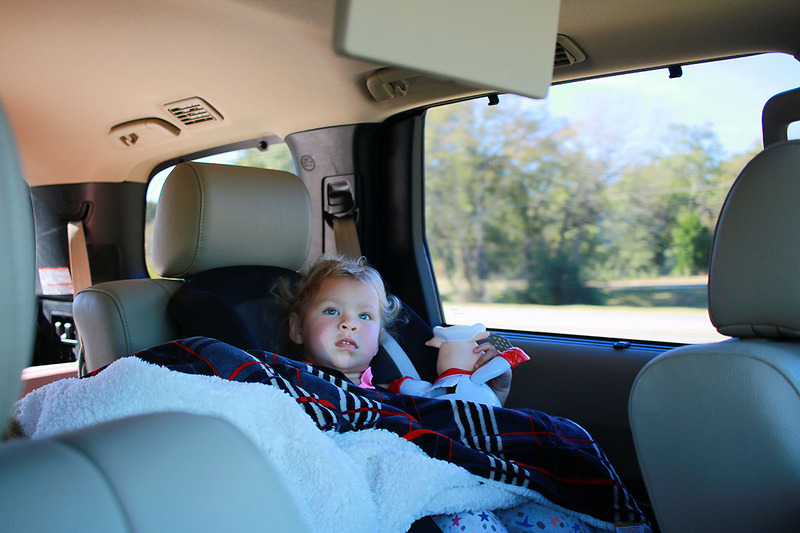 Let your kids pack a travel bag with the items they want to bring as entertainment, hopefully it’ll help keep the peace in the car. For me & JP we keep the tunes going, we have Amazon Prime Music and it keeps us in non-stop tunes. Whatever tickles our fancy is at the tap of our fingers.